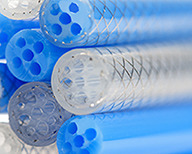 New England Tubing Technologies works with clients to design and manufacture custom medical products that meet stringent quality and performance requirements. Braid and spiral reinforced tubing, lubricious lined catheter shafts, and tubing with conductors or linear strength members are examples of products we manufacture using our advanced extrusion expertise and extensive in-house reinforcement processing capabilities. 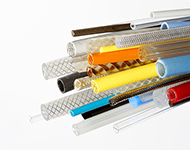 We specialize in the design and manufacture of thin-wall, tight tolerance extrusions, braid reinforced single and multi-lumen tubing, and multi-layer bonded tubing with fluoropolymer liners. 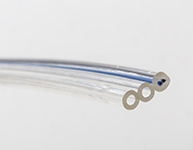 Round and flat stainless steel wire, high strength fiber and monofilament materials, conductors, and other materials can be used alone or together as the braid, spiral, or linear reinforcement component for most tubing products. 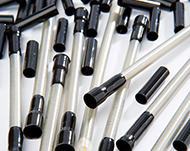 Located in a new, dedicated facility, our well trained staff uses advanced manufacturing and testing equipment, on-site CNC equipped machine shop with flow analysis software for tool making, and an extensive raw materials inventory to provide high quality product with short lead times. 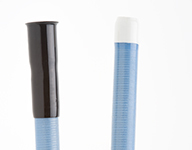 Tubing with outside diameters of less than .015" to over 1" have been manufactured using fluoropolymers, nylon, polyurethane, Pebax, polyethylene, PVC, and other thermoplastic compounds. We stock stainless steel wire from .0015" to .010" in diameter and flat wire from .0005" x .002" to .005" x .030". 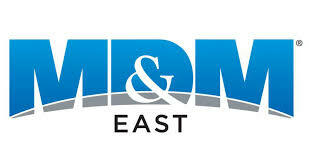 We offer centerless grinding, laminating, annealing, and other value added services. 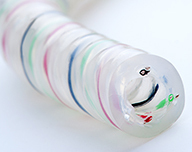 Our products have been used in almost every arena of medical projects: anesthesiology, angiography, angioplasty, biopsy devices, cardiovascular, dental, endoscopy, neurology and pain management to name a few. 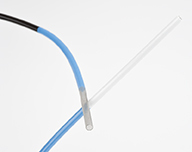 We are proud to have the most extensive braiding and wire handling capabilities to be found at a catheter manufacturer anywhere. 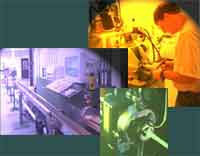 Call our design staff at (603) 838-2261 or visit www.newenglandtubing.com to get started on your project. 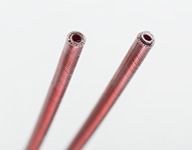 Cut length tolerances as close as +/- .062"
Layers as thin as .0015"
Thin-walls, layers down to .0015" total wall as small as .0075"
Flat wire from .001"X.002" to .0035"X.012"
Diameters from .030" to 1.00"
Bulk Lengths put up on Spools. Outer Diameters from .030" to .50"
Thin-walls, layers down to .0015" total wall as small as .008"
Single or multi-lumens can be incorporated into the product.